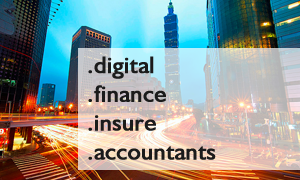 Four additional new gTLDs: .Digital 2,648, .Finance 1,057, .Insure 788 and .Accountants 371 have entered General Availability phase. The first day of general availability for .DIGITAL and .FINANCE domains resulted in 2,648 and 1,057 domain name registrations respectively. However, .INSURE wound up with 788 registrations and .ACCOUNTANTS domain had 371 registrations. The statistics also include domain names registered during the Sunrise and Landrush period. If you want to take advantage of the new generic domains now available, consider registering a domain name within an extension that will best fit your area of expertise and mark your unique presence on the Internet. Should you need help or have questions, please contact us by email at support@web-solutions.eu or via phone on +44 (0) 208 133 3994.